3-Pounds the newly signed artiste to Hi-Breed Entertainment drops his 1st single titled Bomba this is a dance hall track that is guaranteed to rock the nation and beyond. The phrase BOMBA is coined from a Ghanaian slang and it is used here in this context to describe a dance pattern. 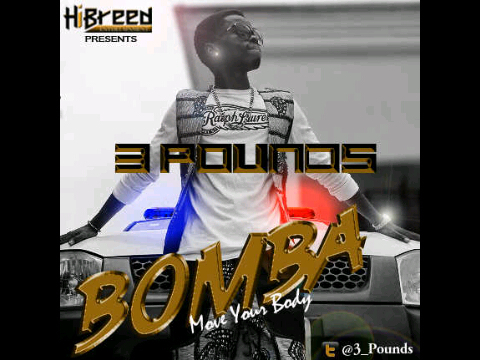 3-pounds is clearly going to express the Bomba dance pattern in the video release of this debut single. Also working with DJ young Jowie.